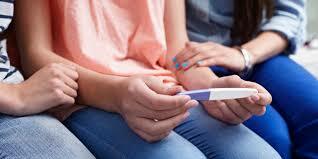 Teen birth rates continue to decline in the United States | HM MEDICAL INC. The birth rate for U.S. teens aged 15-19 years fell to a historic low in 2015, according to the National Center for Health Statistics. The teen birth rate of 22.3/1,000 females aged 15-19 years for 2015 was down by almost 8% from the year before and marks the seventh consecutive year of historic lows. Since 1991, when 61.8/1,000 teens aged 15-19 gave birth, the rate has fallen 64%, the NCHS reported. The rate for the younger half of the age group, females aged 15-17 years, was 9.9/1,000 in 2015 – down 9% from 2014. Those aged 17-19 years had a birth rate of 40.7/1,000 in 2015, which was 7% lower than the previous year. Both of these rates also were historic lows, the NCHS noted. For teens aged 15-19 years, the birth rate declined for each race/ethnicity: dropping 8% for non-Hispanic whites and Hispanics, 9% for non-Hispanic blacks, 10% for Asians or Pacific Islanders, and 6% for American Indians or Alaska Natives. All rates for 2015 were historically low.